Design your own unique necklaces and bracelets with a collection of beautiful beads. 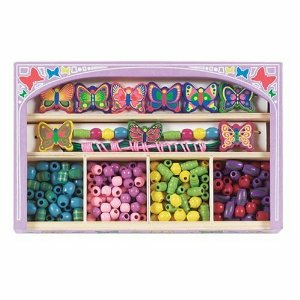 This crafty kit comes with different sizes of colorful wooden jewelry beads. Also jazz up your jewelry with an assortment of charming butterflies. Includes more than 150 beads and 5 laces in a handy wooden storage box.